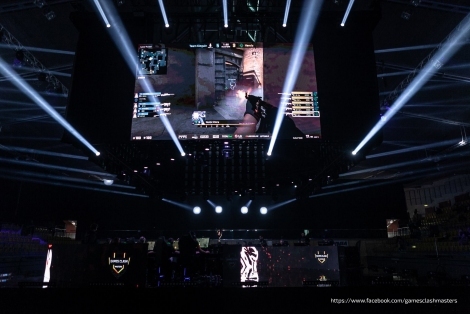 is the perfect solution for gamers seeking the ideal top quality computer chair. 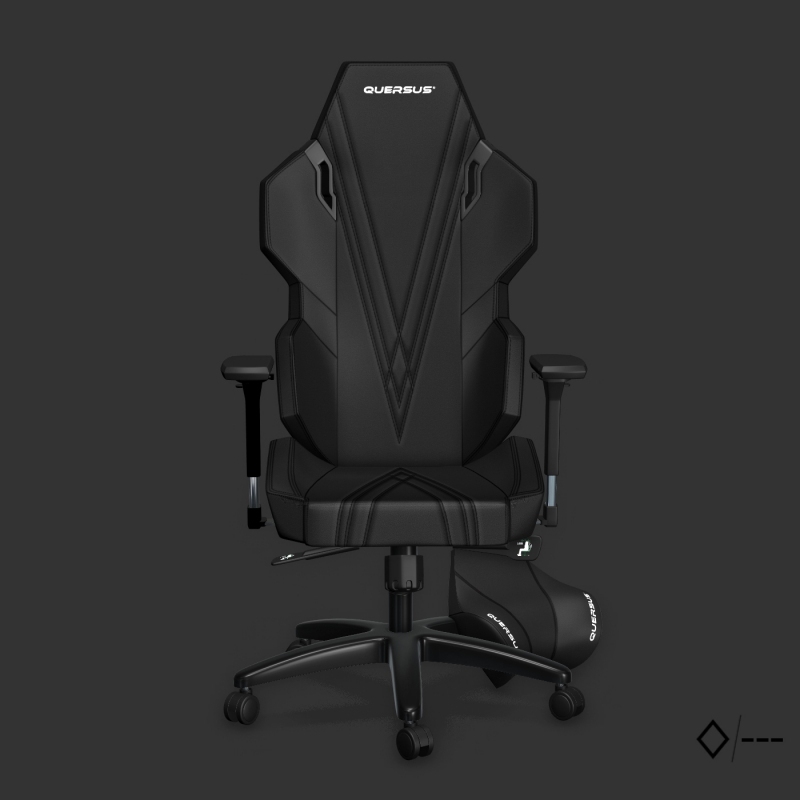 We have sought to design a chair with a high contoured backrest, that includes an additional adjustment feature to guarantee optimum back support. 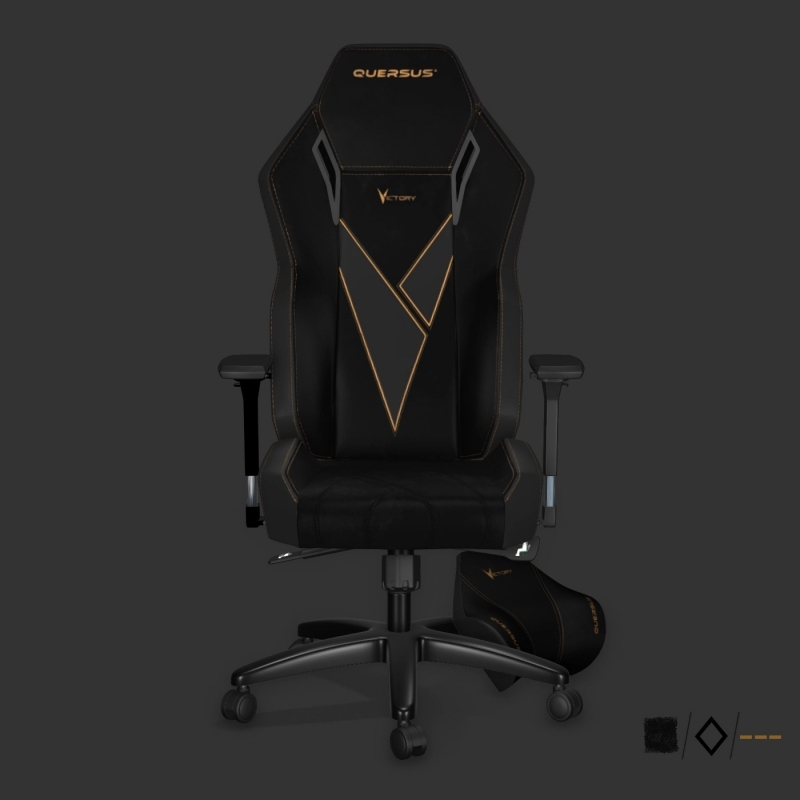 Your QUERSUS chair also comes with multi-position adjustable armrests, a new synchronized mechanism, and a headrest cushion which is indispensable for long sessions at the computer. Instantly recognizable for its futuristic design in fully breathable fabric cover and a hint of bright colour with inserts of faux leather. 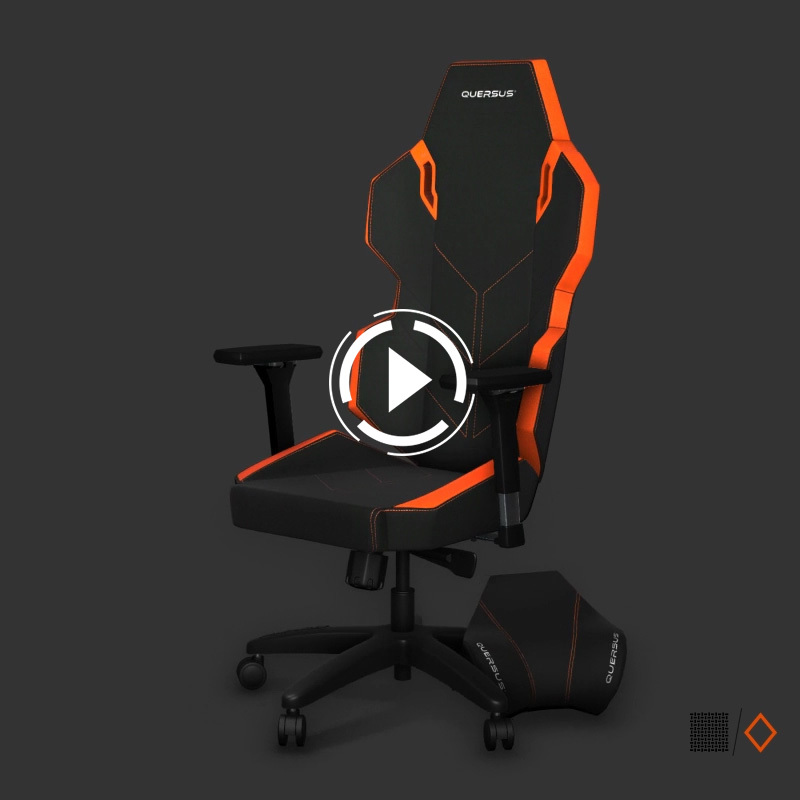 Durability is guaranteed by a metal frame and generous cold-cure foam padding. 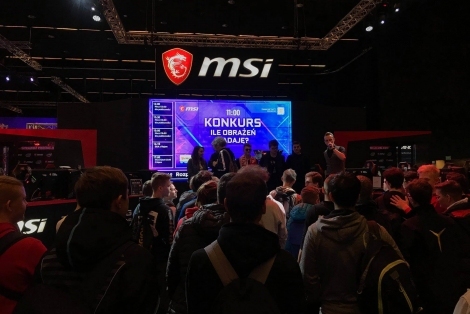 is the perfect solution for gamers seeking the ideal top quality computer chair. 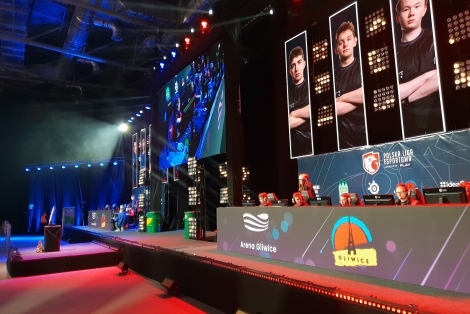 We have sought to design a chair with a high contoured backrest, that includes an additional adjustment feature to guarantee optimum back support. 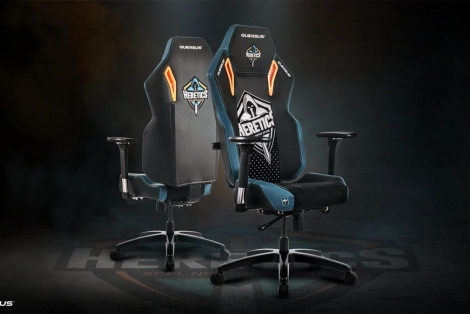 Your QUERSUS chair also comes with multi-position adjustable armrests, a new synchronized mechanism, and a headrest cushion which is indispensable for long sessions at the computer. Instantly recognizable for its futuristic design in faux leather and a hint of bright colour. Durability is guaranteed by a metal frame and generous cold-cure foam padding. 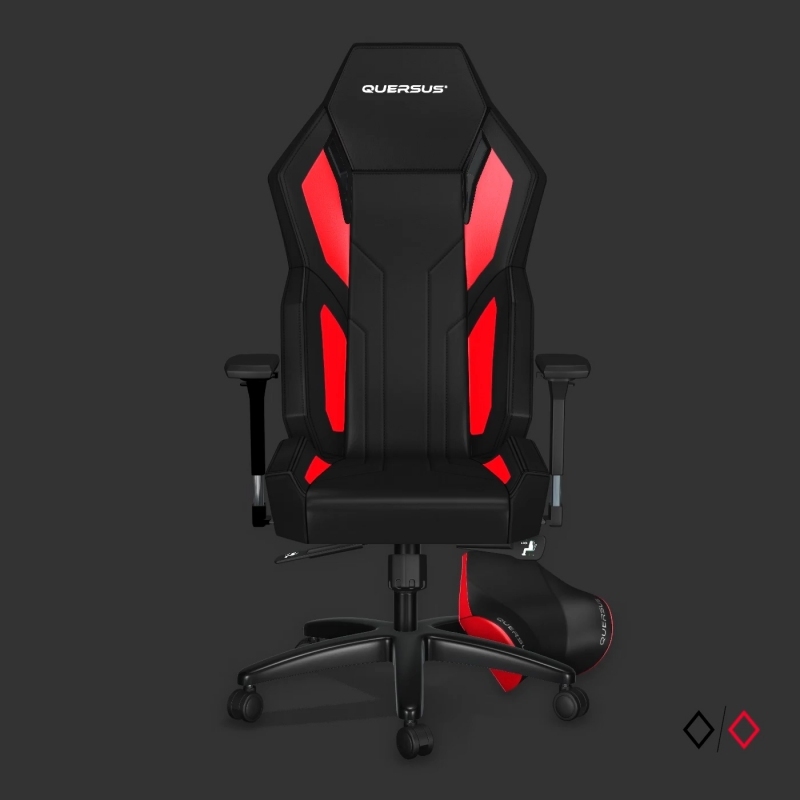 The QUERSUS EVOS 303 is the latest addition to our standard sized chair for the small to average sized user. Now featuring decorative coloured stitching on an all-black faux leather cover. With a tall, backrest that comes with simple lumbar adjustment, it offers support where needed most with no fiddly cushions to struggle with. The backrest leans back to recline smoothly as desired without the need for operating levers by counter-balancing the user’s weight. This feature can be blocked by a lever beneath the seat if desired. 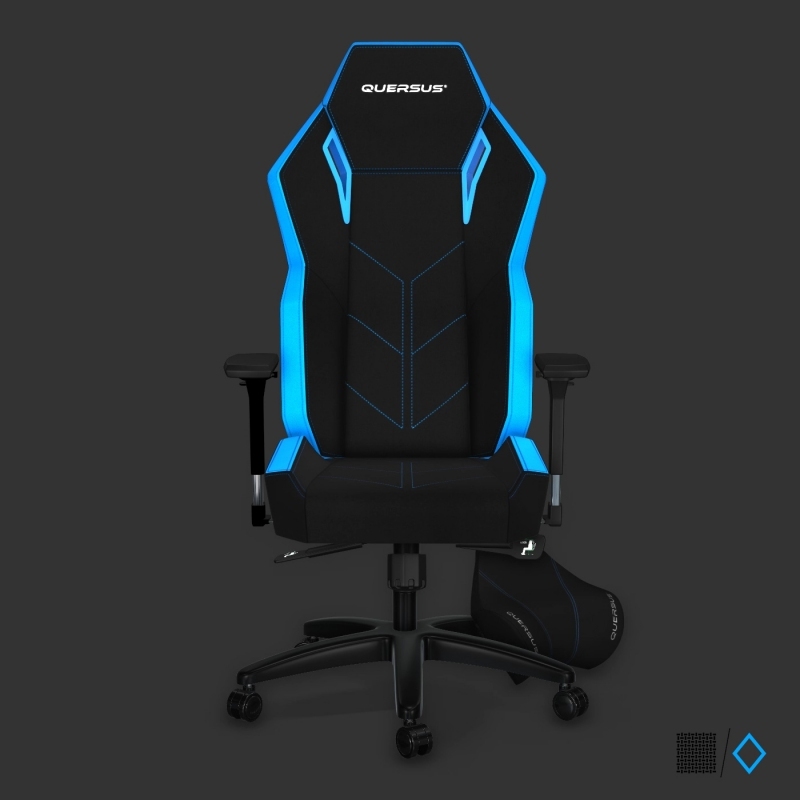 A strong, durable frame is completely covered with high quality cold-cure foam to ensure both the seat and backrest retain their shape during long hours of use. Additional features include multi-position adjustable armrests and a strong and stable star base. The VAOS 501 is part of the third and latest line of QUERSUS chairs.The new shape of the backrest and seat give it an even more exceptional look. The chair is covered with high quality breathable fabric and the faux leather inserts underline the modern look. The hardwearing fabric is pleasant to the touch ensures that the chair is comfortable to use regardless in low or high ambient temperatures. 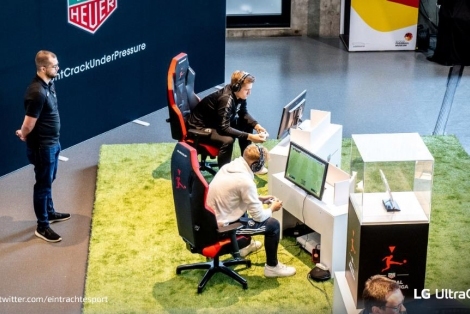 This high class, ergonomic chair will be ideally suited for daily use at the office as well as long sessions before the computer. 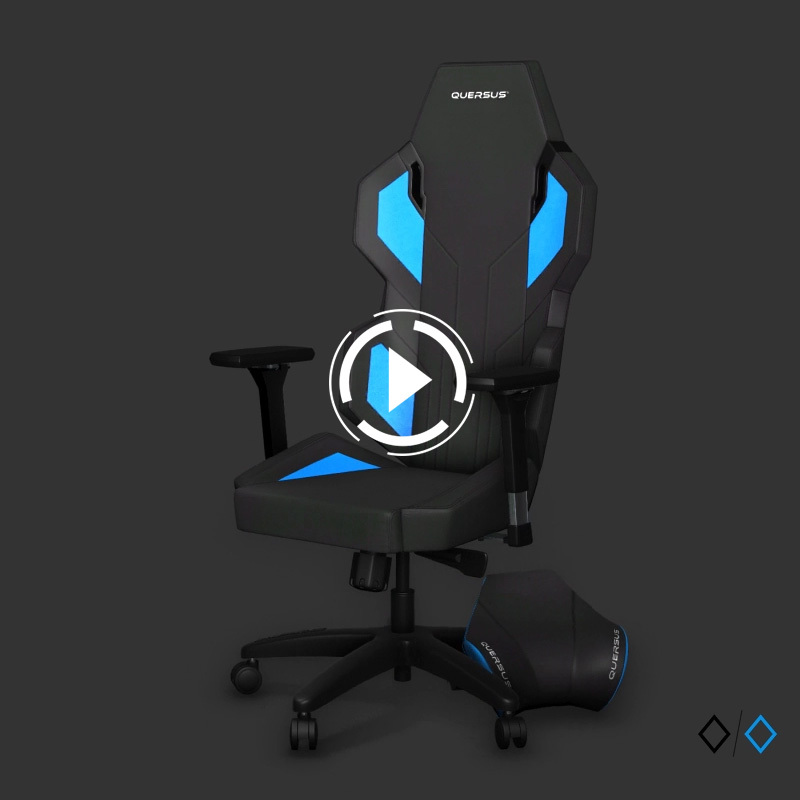 We proudly present our latest addition to the range: the Quersus VAOS 502 chair. The backrest and the seat now come in a new shape. 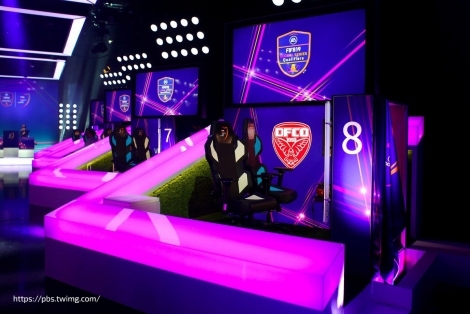 It will be slightly larger than our Evos chair, but not as large as the Geos. It retains all the functions and features of our existing range. 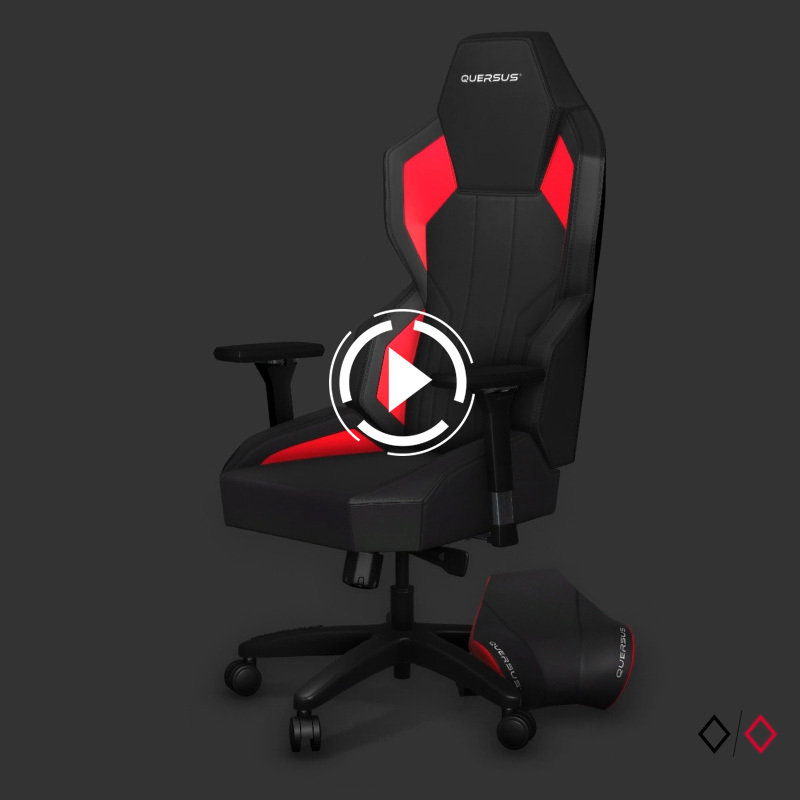 We proudly present our latest addition to the range: the Quersus VAOS 503 chair. The backrest and the seat now come in a new shape. 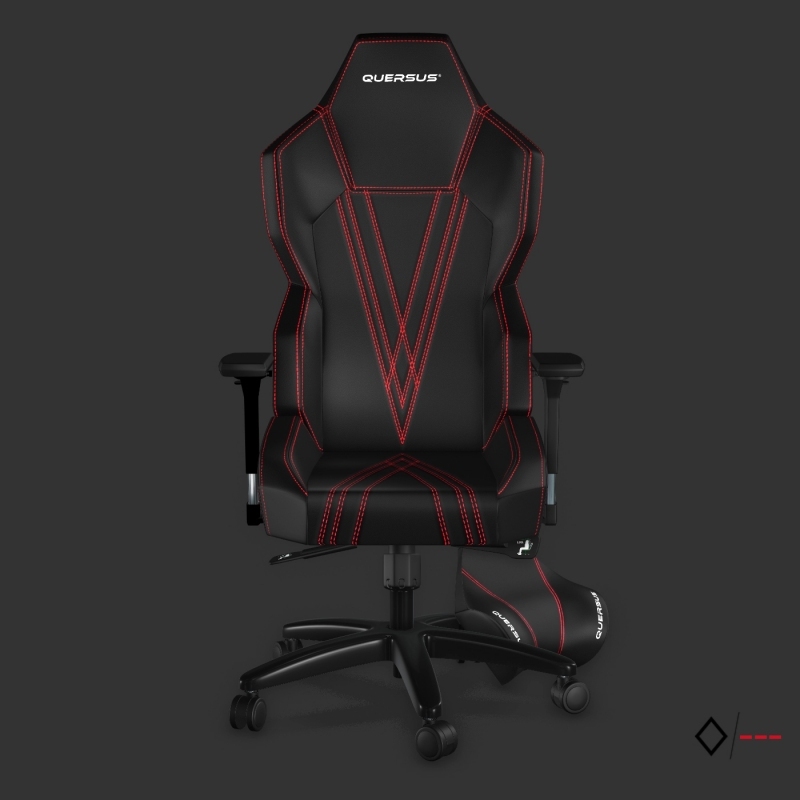 It will be slightly larger than our Evos chair, but not as large as the Geos..It comes in a high quality faux leather cover with decorative stitching in black, red or white. It retains all the functions and features of our existing range. 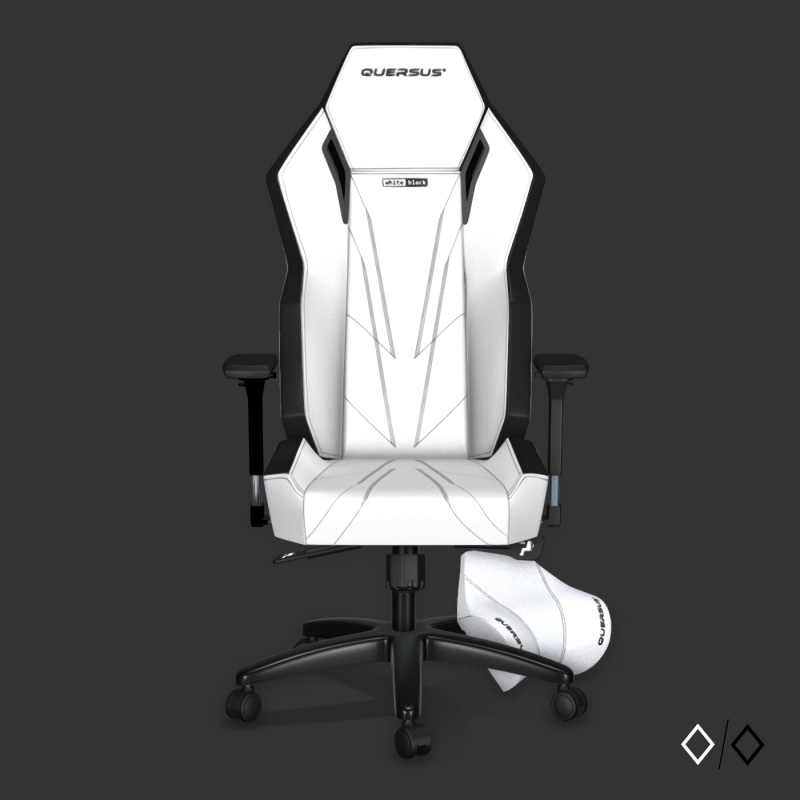 We are proud to present our newest addition to our range: the white/black Quersus VAOS 504 chair. The backrest and the seat now come in a new shape. 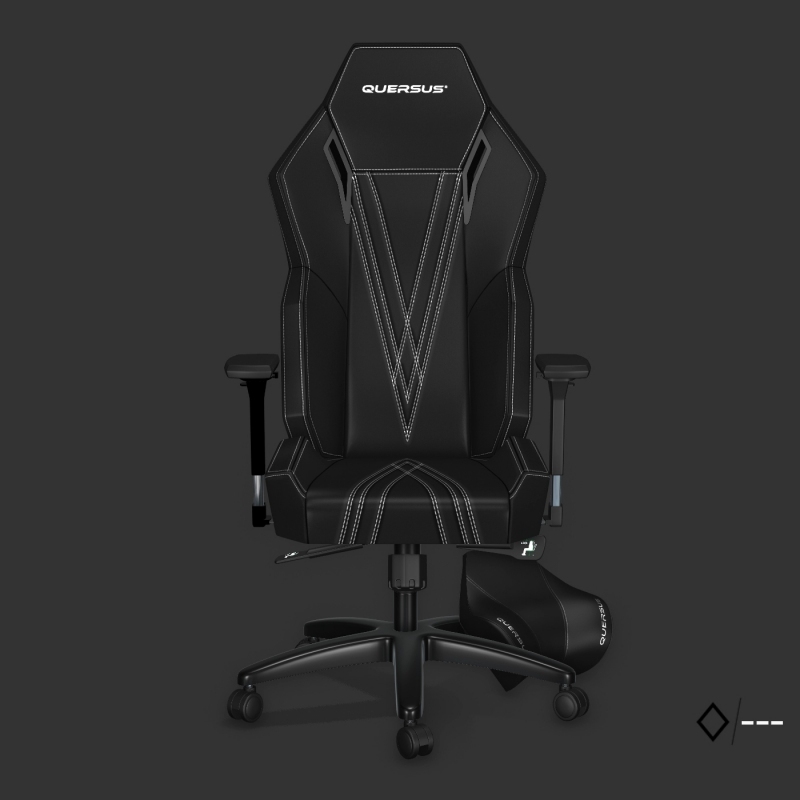 It will be slightly larger than our Evos chair, but not as large as the Geos..It comes in a high quality faux leather cover with decorative stitching in black. It retains all the functions and features of our existing range. The GEOS line from QUERSUS is the perfect solution for taller, larger built users. A wider backrest and seat ensure optimum seating comfort together with adjustment of the lumbar region. A shaped headrest cushion filled with memory foam enables you to lean back and relax to recharge your energy levels. 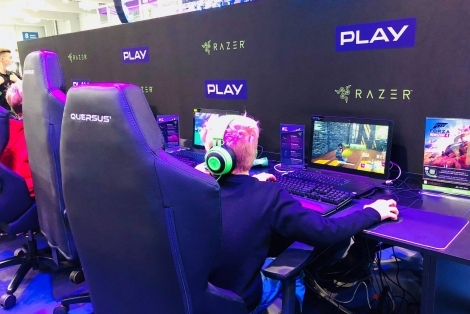 Further ergonomic features include multi-position adjustable armrests and a synchron tilt mechanism that moves smoothly to give you stress-free hours of computer use. A strong, stable star base underpins this solid chair, which comes in a fully breathable fabric cover with inserts of faux leather in an array of bright colour options or classic black. The GEOS line from QUERSUS is the perfect solution for taller, larger built users. A wider backrest and seat ensure optimum seating comfort together with adjustment of the lumbar region. A shaped headrest cushion filled with memory foam enables you to lean back and relax to recharge your energy levels. 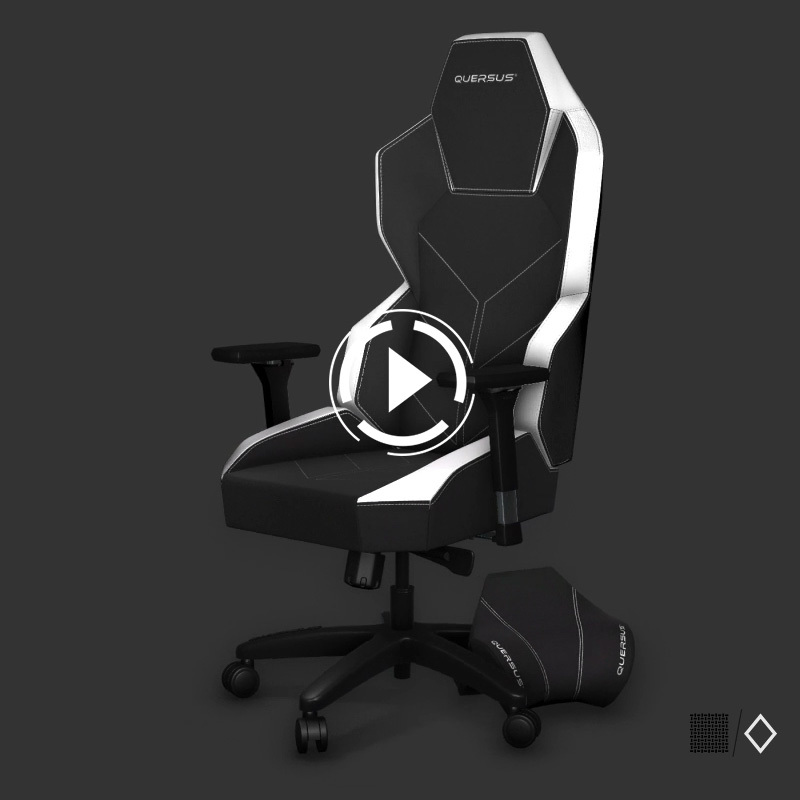 Further ergonomic features include multi-position adjustable armrests and a synchron tilt mechanism that moves smoothly to give you stress-free hours of computer use. A strong, stable star base underpins this solid chair, which comes in a faux leather cover in an array of bright colour options or classic black. The latest newcomer to the QUERSUS Geos line features decorative coloured stitching on an all black faux leather cover. 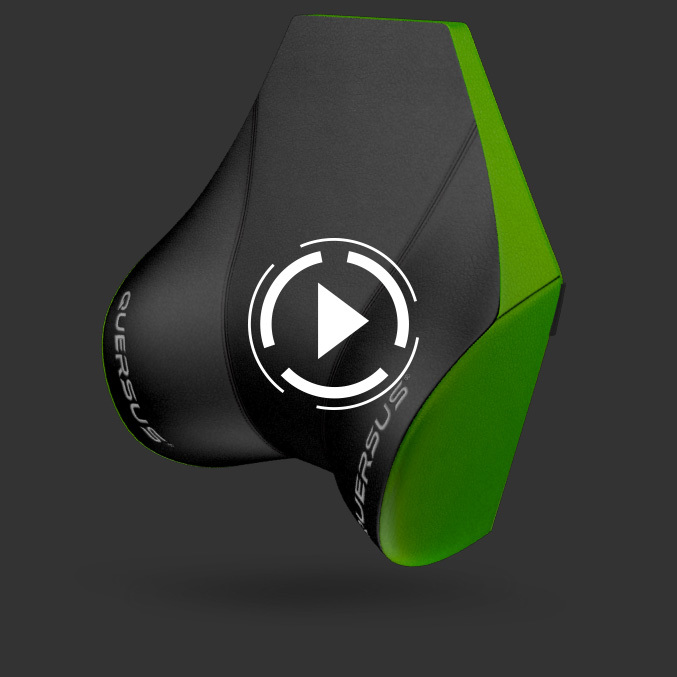 It offers the perfect solution for the tall or larger build user. With a tall, wider backrest with lumbar adjustment and longer, wider seat, it offers support where needed most. The backrest leans back to recline smoothly as desired without the need for operating levers by counter-balancing the user’s weight. This feature can be blocked by a lever beneath the seat if desired. A strong, durable frame is completely covered with high quality cold-cure foam to ensure both the seat and backrest retain their shape during long hours of use. Additional features include multi-position adjustable armrests and a strong and stable star base. 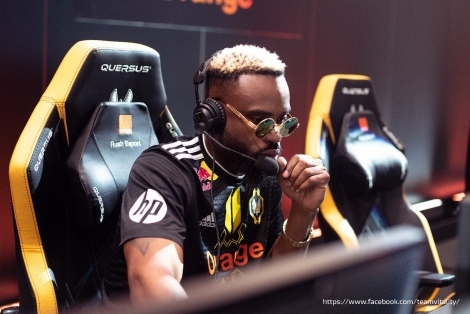 Quersus have come up with Special Edition chairs especially for all e-Sports fans! You can now have one of these exceptional chairs in your own home. 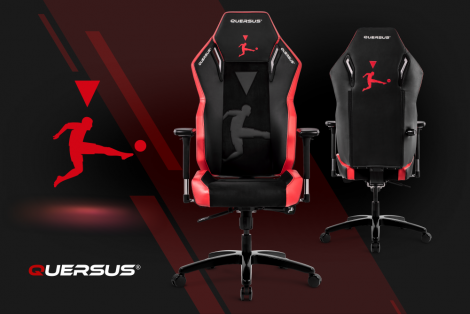 These Quersus chairs are now available in the colours of well-known e-Sport teams. The QUERSUS headrest cushion is specially formed and contoured to hug the back of your head and support your neck. Memory foam ensures a snug fit. QUERSUS quality in a small package. 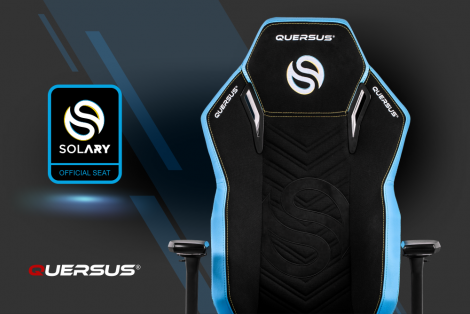 You may now personalise your QUERSUS seat with your own name or logo or a design of your choice. It can be a slogan, name or simple illustration. A chair that is uniquely yours!